This entry was posted in Uncategorized on September 23, 2013 by tejstevens. 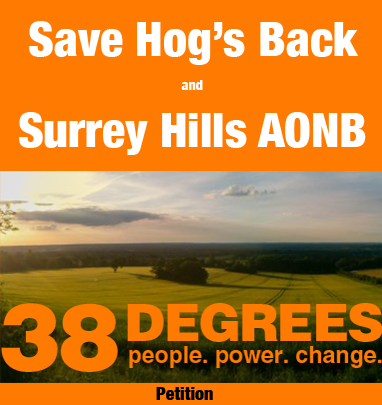 Sign our e-petition to stop development on the Hogs Back. Once you’ve completed your details on the government website, please make sure that you confirm the email from HM Government e-petitions otherwise your objection won’t be counted. This entry was posted in Uncategorized on September 22, 2013 by tejstevens. Wiggo-mania hit the Hogs Back as thousands turned out to see the penultimate stage of the Tour of Britain – with Sir Bradley Wiggins wearing the golden jersey. 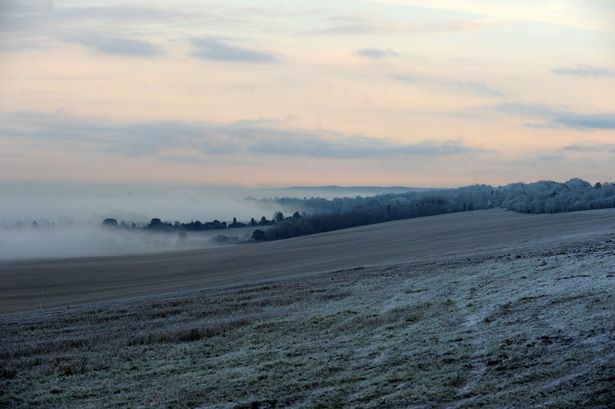 Television pictures of the race from helicopters showed the beautiful chalk ridge – as the race passed along the northern (and Guildford-bound) carriageway of the A31. 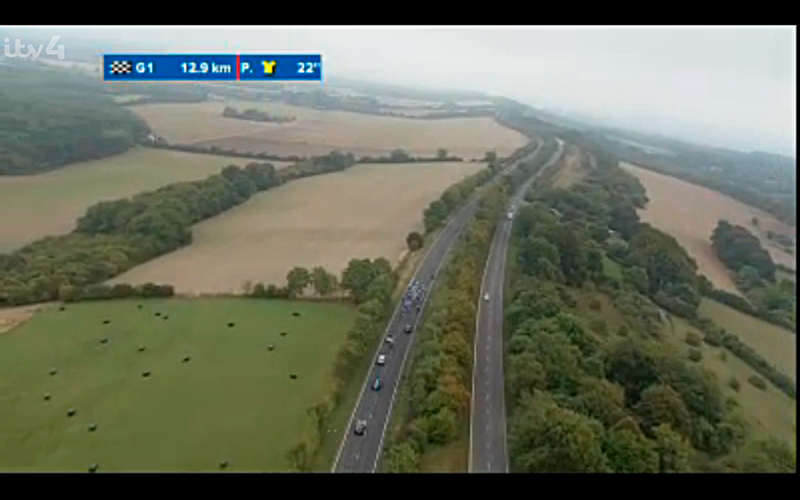 Tour of Britain as it passes along the A31 on the Hogs Back towards Guildford. 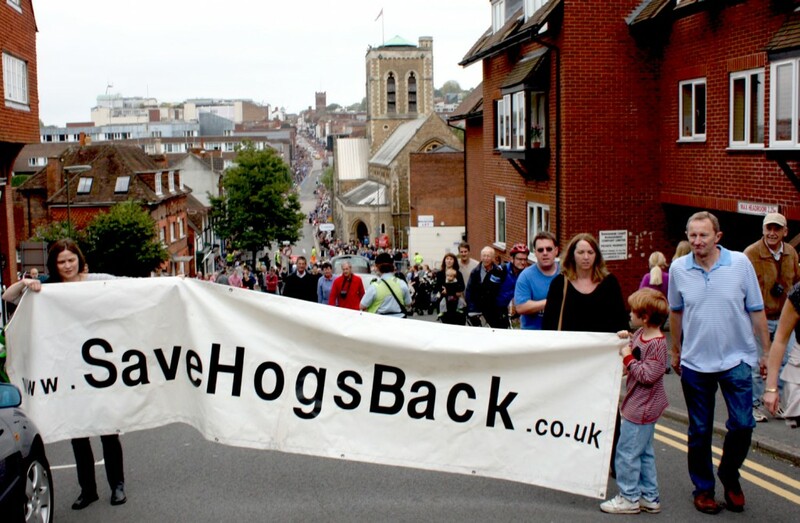 Save the Hogs Back campaigners were out in force in Compton and at the Guildford High Street finish line for the stage. Mark Cavendish swept through on the cobbles to win the stage – which followed his win in Guildford last year. Sir Bradley finished safely in the pack behind – retaining his golden jersey and remaining favourite to win the tour in London on Sunday. Attractive as London is, it’ll be interesting to contrast the aerial shots of the city (for the last leg of the tour) with those of the Hogs Back. 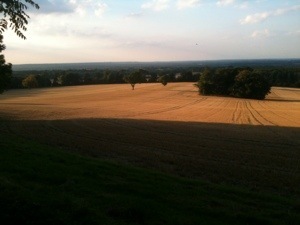 Next time you travel along the Hogs Back – slow down and enjoy the view. Its not a race after all! 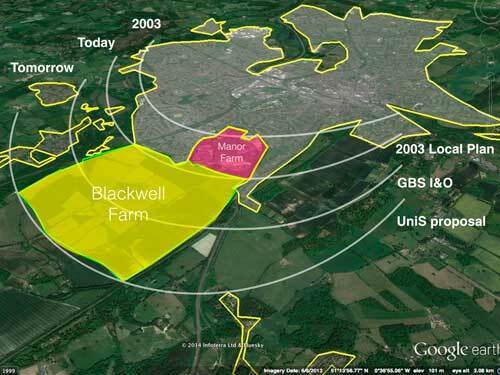 This blog describes our attempts to save the green spaces around the Hogs Back from development and to preserve this beautiful area for future generations. This entry was posted in Uncategorized on September 8, 2013 by tejstevens.